In 1925, Miami Corporation officers visited the remote site around Farmton and Maytown in Volusia and Brevard Counties in central Florida looking for agricultural land. They initially purchased a forty-five thousand acre tract owned by a timber company that had not managed the land well. Miami Corporation decided the best use for the property would be to keep the land intact for forestry and, over the next thirty-five years, bought adjacent parcels of land to create what is today known as the 67,000-acre “Farmton tract” or the “Farmton Tree Farm.” The origin of the name comes from the old town of Farmton, once located on the tract. Active silviculture (the growing and cultivation of trees) began in the early 1950s. From 1954 to 1967, fourteen million seedlings were planted, and cutting began in 1974. 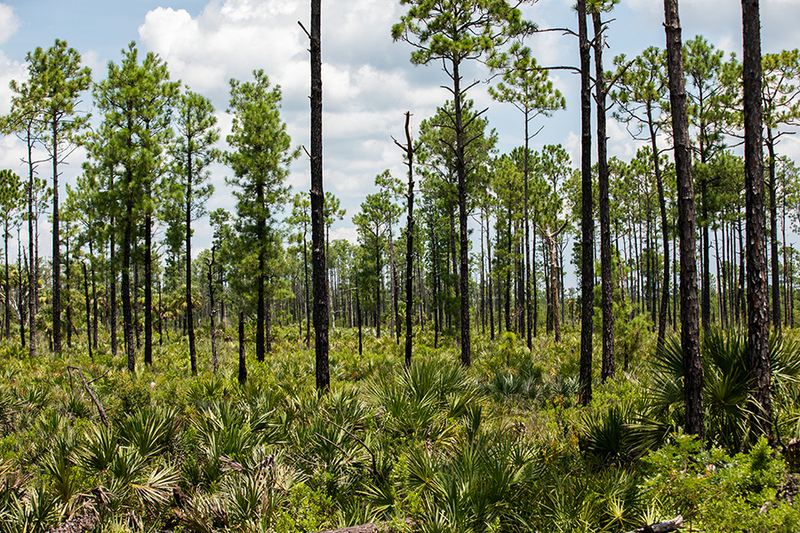 Since that time, Miami Corporation has been continuously planting and cutting slash pine in accordance with best management practice methods of forestry for the region. In wetland areas, cypress is harvested and regenerates on its own from sprouts and seeds, also in keeping with best management operations. 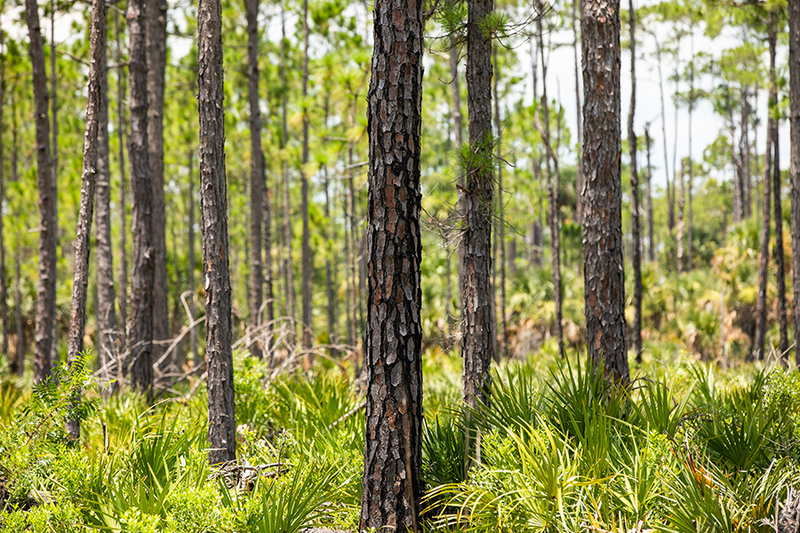 Since Miami Corporation’s ownership began in the 1920's, we are proud to say there have been only four Directors of Tree Farm Operations responsible for the day-to-day timber and property management along with a small crew of equipment operators. The crew is involved full time with timber operations including site preparation and planting, road and fire line maintenance, and fire prevention and firefighting. Timber removal is conducted by independent loggers who purchase and remove the trees and truck them to sawmills. 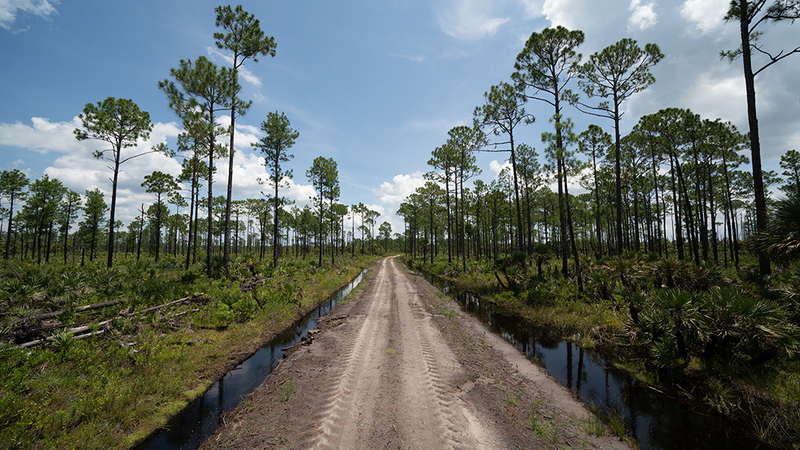 Miami Corporation’s vision for the property, which includes long term stewardship and commitment to the land, is the reason why Farmton’s silviculture, environmental resources, and unique attributes exist today. As Miami Corporation looks to diversify and explore other types of sustainable agricultural operations, a new activity is taking place on Farmton. A hundred head of Adams Ranch cattle arrived at Farmton in June 2018, as part of a new business venture between two venerable and multi-generational agricultural companies. 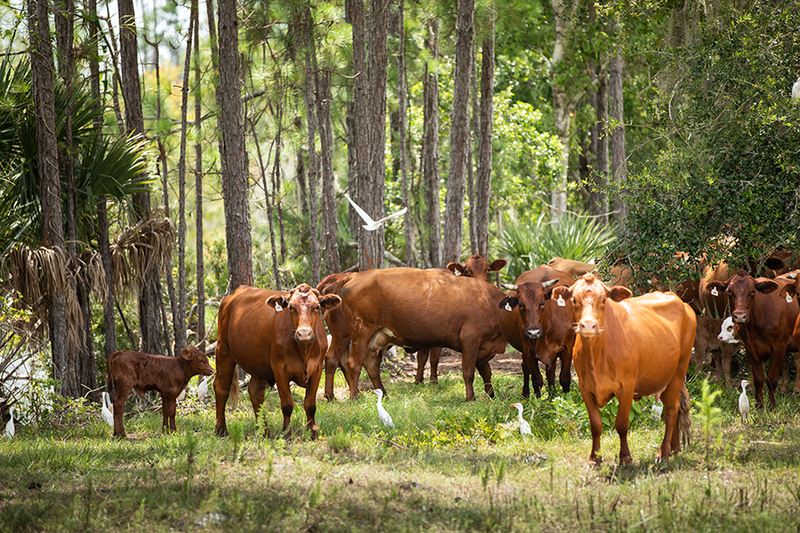 The new business, Adams Ranch - Farmton LLC, brings together two family businesses in what is envisioned to be a long-term relationship to expand Adams Ranch’s sustainable cattle production efforts, which began on their St. Lucie County ranch in 1937. The Adams Ranch ABEEF cattle will initially graze on approximately 1,150 acres of land owned by Farmton Deering Park, LLC, located within the City of Edgewater. The ABEEF composite is a unique breed of cattle that uses Adams Ranch heat-adapted Brafords, adds Red Angus for marbling and Gelbvieh for muscling. 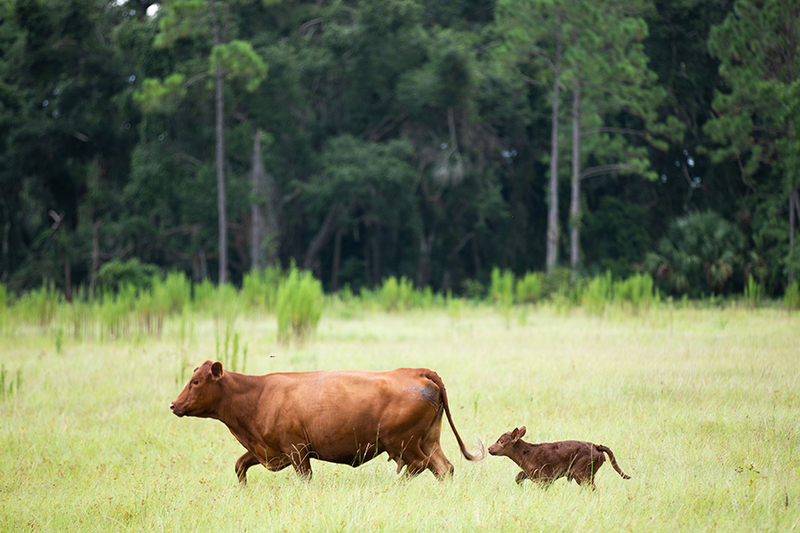 ABEEF cattle possess qualities that allow for open range ranching in Florida’s sunny, tropical climate and are among the most heat-tolerant animals in the southeast. 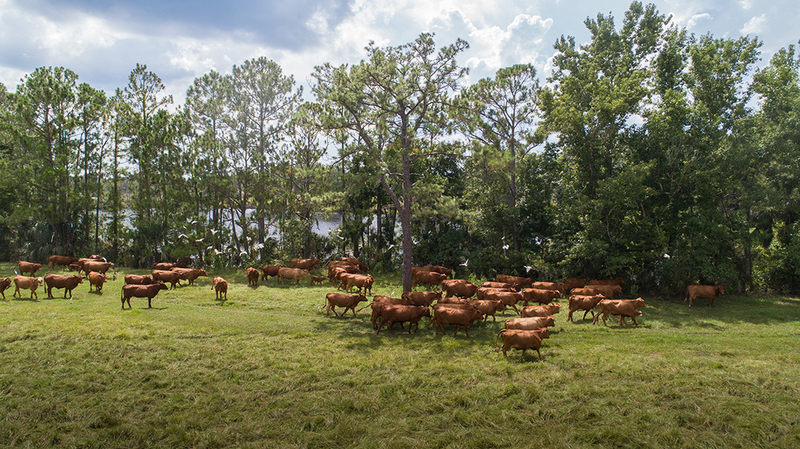 The joint cattle operation will expand over time to additional properties in Volusia and Brevard counties owned by Miami Corporation, its affiliates and subsidiaries. As timber continues to be harvested on Farmton as it has been since the 1930s, portions of the land will be converted to pasture for additional cattle. For more information about Adams Ranch cattle click here to visit the Adams Ranch website.